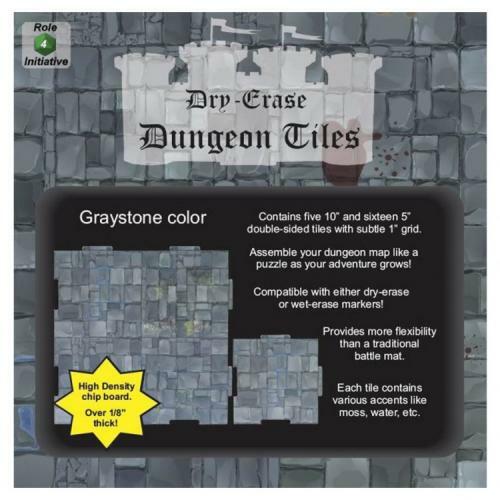 Fill in your details below and we will let you know within 24 hours if we can get Dungeon Tiles: Graystone Combo Pack to you with haste! Never again give away clues as to which way the corridors may lead due to starting placement on a large mat. The interlocking tile modularity allows the Dungeon Master to draw many details of an area at his seat and then simply hand the tile to the nearest player to connect.